Managing finances is difficult enough when you are at the height of your career and trying to figure out how to budget as well as determining if you’re putting away enough money for the future. Financial management requires a whole new set of guidelines when you are nearing or have reached retirement. As you age, you will see that you must take different aspects into consideration. Being knowledgeable about your finances and how to protect them is important. This is because as you age, some people may try to take advantage of you and access your finances or assets. We never want to think that it will happen to us, but the truth is that it happens all too often. Maintaining more than one checking or savings account is not uncommon. However, as you age, you may want to reconsider whether you really need to continue to divide up your finances and stretch them over multiple accounts and/or multiple banks. Also, consider printing your most recent account statements and try to write at the top of each one what the purpose of the account is. This way, you or the people who will later help you take care of your finances will know what each of those accounts is for. If you have multiple retirement accounts or 401Ks from previous employers, try condensing them into fewer accounts, such as an IRA or Roth IRA. If you have a spouse, adult children, or other trusted family members or close friends, share your financial information with them. Even though these people may be close to you or you may have known each other for years, the possibility still exists that you have never sat down and shared your financial plans with any of them. Of course, this is not to say you need to share this information with all of them. However, you should have a trusted person that you can depend on, with whom you can share your financial plans. In our digital age, you can do many things to simplify your bill paying. As you age, your cognitive ability naturally declines, which means that the likelihood of forgetting to pay a bill increases. Try to set up auto-pay for as many of your recurring bills as possible. If you have multiple credit card accounts such as Visas, MasterCards, or Discover cards, consider paying them off and closing all but one of the accounts. Another option is to transfer your balances to the card with the lowest interest rate so that you only have one credit card bill to pay. This will decrease the likelihood that you will forget to make a credit card payment, which can incur heavy late fees and interest charges. Many people have other assets that should be simplified. These might include rental units or land that are leased to companies in order to generate income. This is another example of finances that might be kept in different accounts across different banks. Take steps to consolidate the banking process for these assets. You should also consider enlisting the help of a financial adviser or a trusted loved one or friend. This is so that they can help you manage the ledgers or books for these accounts. This will help you keep track of the revenue generated from these assets. It will also help ensure that these assets get passed on to individuals that you want them to pass on to in the event of your passing, instead of having a government agency simply auction them off. Another thing to consider is the donations or charitable contributions you make on a recurring basis. Think about whether you want to continue donating to all of them (if there are many), or which ones you could eliminate. 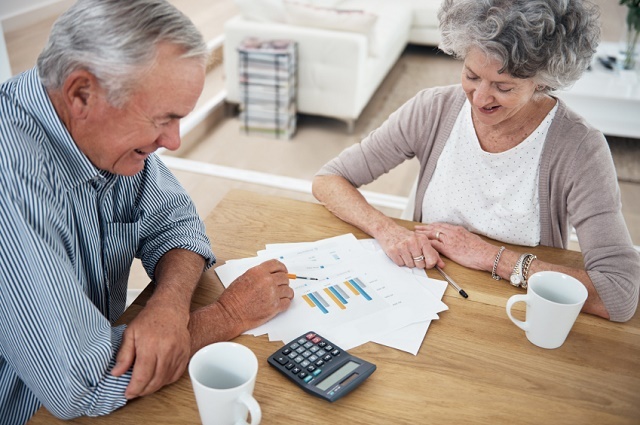 As you get older and saving for retirement becomes more important, you may have to take a step back from making quite so many financial contributions. As a side note, if you have several magazine subscriptions that are set to auto-renew, cancel the ones you don’t actually read anymore or have someone help you cancel them. These things have a tendency to get away from us if we don’t keep track of them. There are many companies available that offer fraud protection. Some credit card companies even offer it as a perk of having an account with their business. Some credit monitoring companies even allow you to lock your credit report so that an account under your name cannot be opened without you unlocking your credit report. This ensures that if anyone does, by chance, obtain your information, they won’t be able to open an account under your name. This also stops unwanted inquiries on your accounts. You should look into the available fraud protection programs as an extra safeguard for your finances. What is a UTR Number and How Do I Quickly Get One? A Unique Taxpayer Reference number, otherwise known as a UTR number, is a ten-digit number that is provided by the HM Revenue & Customs. This number is used to pinpoint tax payers that are in their system. As long as you are registered in the HMRC, you will usually be instantly given a UTR number. However, you need to be able to fulfil all the criteria before you are given one. Some lawmakers and organizations are taking steps to safeguard seniors from being taken advantage of. For example, the Investor Protection Trust trains doctors and lawyers to detect signs that a senior may be taken advantage of financially. If this is suspected, the trained professionals can step in and aid the senior. While these organizations are helpful and important, ensuring that you take the proper steps now to safeguard your financial future is essential. With this information, you can begin to do this yourself.